Invisalign isn’t just great for adults, it can work for teen patients as well. The clear aligners are nearly invisible when worn, fit comfortably over the teeth, and can be removed at a patient’s convenience. Invisalign Teen is different from traditional Invisalign in one important way: Invisalign Teen includes 6 replacement aligners in case a younger patient accidentally loses or damages one. At Columbus Orthodontic Center, we’re actually able to treat half of our teen patients with this method. Each and every teen we see is unique, and their treatment should always reflect that. 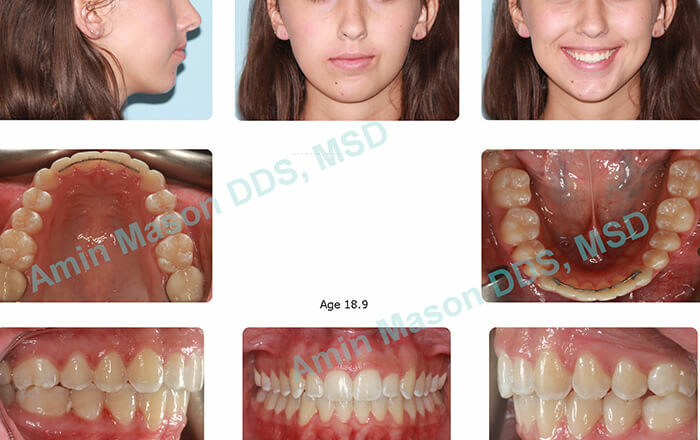 This is why Invisalign Teen is custom-made for every patient to fit their particular smile. Also, thanks to its subtle appearance, teens will be able to more easily maintain their self-confidence so that they can have a better overall treatment experience. With Dr. Mason, Invisalign Teen can be used to treat a wide variety of orthodontic issues, ranging from simple to complex. Invisalign Teen makes it much easier for a patient to maintain their normal oral hygiene routine because they’ll be able to simply remove their aligner before brushing. The brackets and wires of braces can often cause irritation to the gums and lips, and they can even lead to emergencies if they are damaged during an accident (such as when playing sports). With Invisalign Teen, a patient will not have to deal with either this discomfort or liability. Invisalign Teen requires fewer progress checks than traditional braces, meaning a patient will need to take less time out of their busy schedule over the course of their treatment. Invisalign Teen makes it much easier for a patient to brush and floss teeth normally. Invisalign Teen fits much more comfortably than traditional braces. Patients with Invisalign Teen never have to worry about broken brackets or wires. Patients with Invisalign Teen do not have to alter their diet throughout treatment. Invisalign Teen requires fewer periodic visits to the office. Invisalign Teen won’t affect a patient’s appearance during treatment, making it perfect for social occasions and pictures. What Are Invisalign Teen’s Treatment Requirements? Invisalign Teen aligners must be worn at least 22 hours a day in order for them to be effective. A patient must remove their aligner before eating or drinking anything except water. 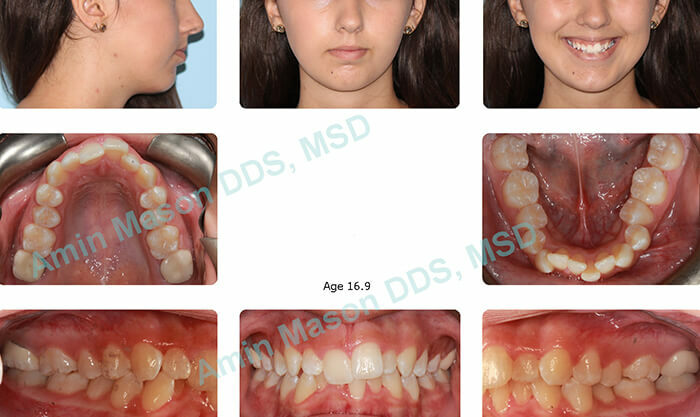 The patient did not want any metal braces, had crowded upper and lower arches, increased overbite, and overjet. Treatment: Patient was using Invisalign Teen system. If you have a teenager at home who could possibly benefit from Invisalign Teen, please contact our office for a consultation.